Fresh off the back of his debut album ‘United We Are’, Hardwell is back with another track, this time teaming up with fellow Dutchman Wiwek for something a little different in the shape of ‘Chameleon’. The track is something of throwback for Hardwell, with a taste of his early work sitting comfortably alongside the electro house flavour offered up by Wiwek, who in turn steps out of his usual style and takes on a more progressive, fresh approach. 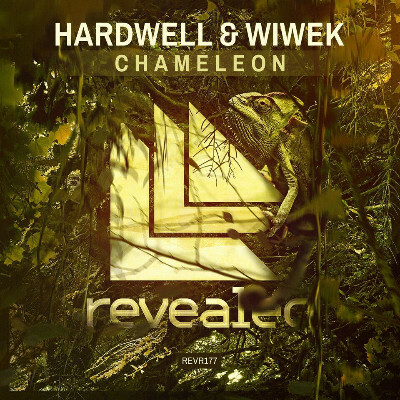 Built around a vocal sample that morphs its way through the track, ‘Chameleon’ is aimed to put a smile on your face, a bounce in your step and highlight Hardwell’s years of experience in the studio, as well as the up-and-coming talent of Wiwek. Originally featured on the recently released ‘Revealed Volume 6’ compilation, the track aims to be a crowd favourite in the coming months and is boosted by support from some big name DJs. It will likely see a spin or two from Hardwell himself on Revealed stages this summer too.